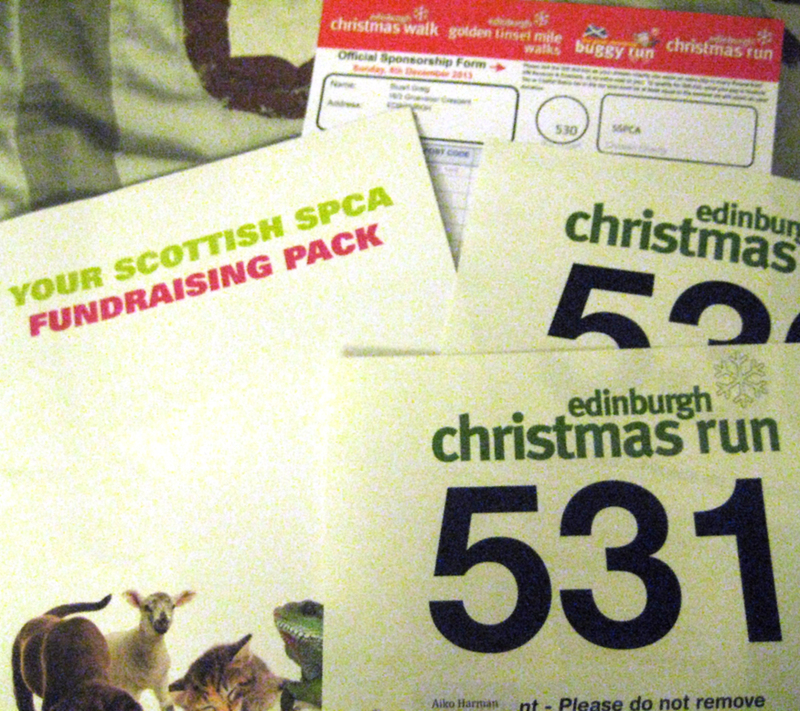 On the look-out for ‘doable’ races that supported charities I like, I saw an advert for the Edinburgh Christmas 5k Run. As it happens, I saw this while looking for puppies to adopt on the Scottish SPCA website. I can’t wait until I can have one of my very own! I thought 5k would be realistic, since I’ve never done a charity race before and don’t really like running to be honest (I’m more of a competitive team sports person, despite running track&field in high school). This race is cool because you can choose from a variety of charities to support. I’m basically a fan of anything pro- animals, books, nature, etc, and in the end I went with the SSPCA. The RSPB was also there (I support them by pin-badge minding!) as well as a handful of other amazing charities worth supporting. 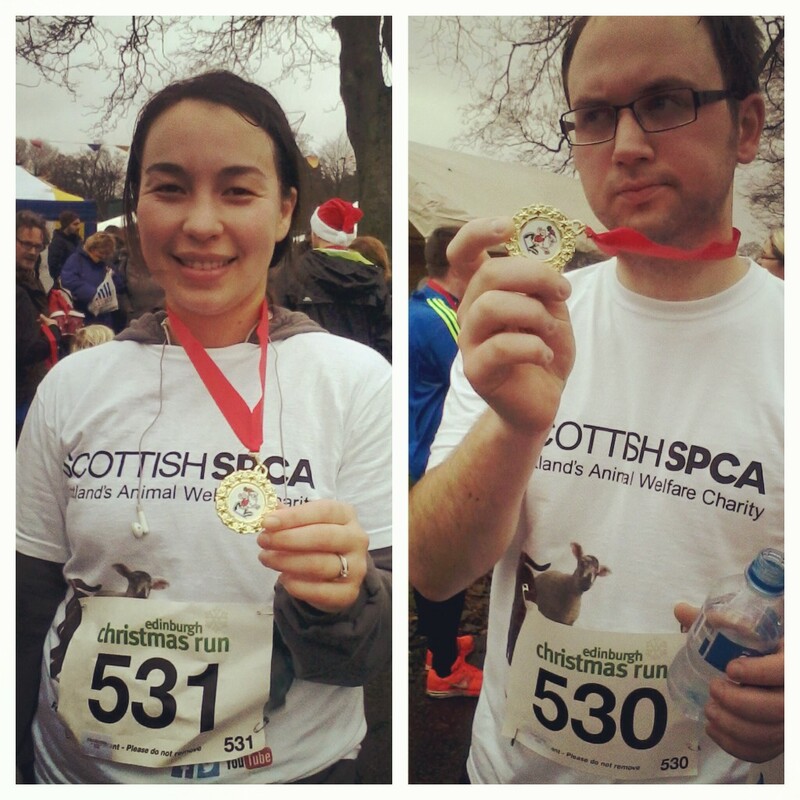 Every penny raised will help animals in Scotland! 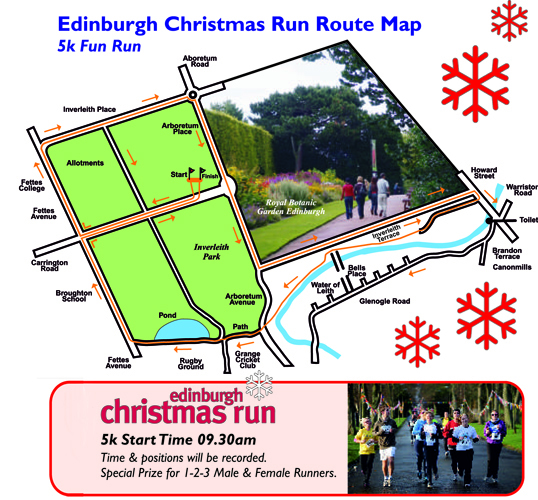 We were also excited about the Edinburgh Christmas 5k Run because on both days of the run, they’d be having a fun & festive market with stalls for all the charities, as well as places to buy some early Christmas presents. I love the community spirit in Edinburgh! We woke up on race day and got ourselves ready. It was a little mizzle-y so I was a bit nervous it might be rained off. 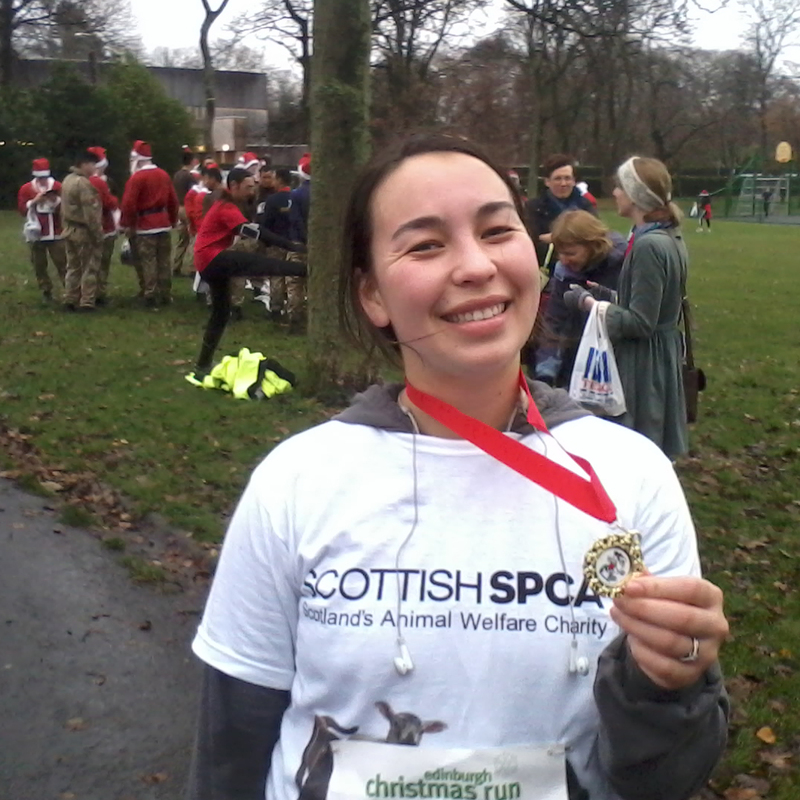 But upon heading into Inverleith park, there was a lovely festive marquee and lots of runners in fancy dress (so many Santas, elves and reindeer!). It was great fun! I think we’ve both agreed that that’s probably as far as either of us fancy running, but I’m glad to have ticked another thing off my big list and supported a great cause at the same time.